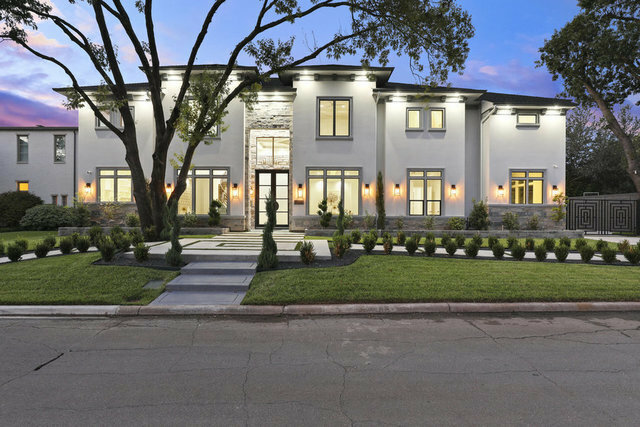 This astonishing modern home by New Horizon Custom Homes features impeccable design and meticulous attention to detail in every single space.Located in Preston Hollow, this super-chic residence was meticulously design to create a luxurious environment in an open and yet inviting floor-plan. A huge and very functional kitchen awaits to witness the most unforgettable memories with family and friends. Perfect for entertaining. Luxurious resort style master bathroom. Convenient mud room.Well thought three-car garage ready for your vehicles and toys.